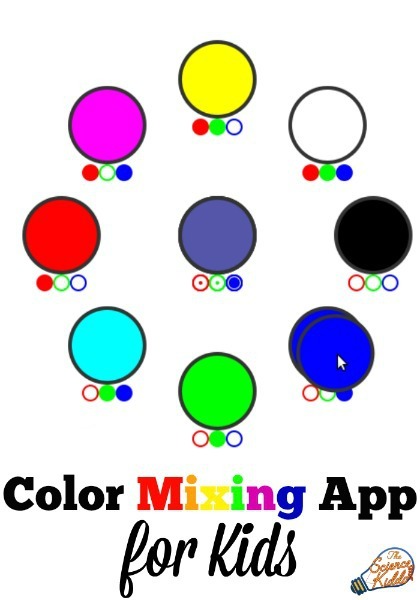 Science Kiddo’s own fun and simple kids Color Mixing App makes learning about your computer’s colors as easy as R-G-B! 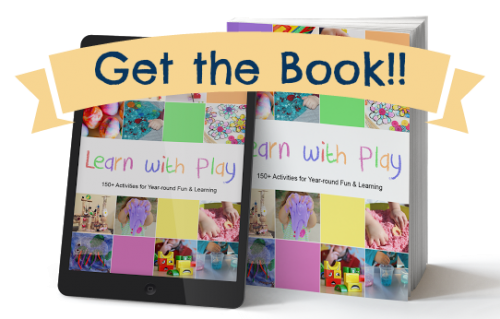 Color mixing science for kids. We’re all familiar with the classic red-yellow-blue system of mixing colors. It’s what lets us put paints together and come up with just the right hue for our happy little trees or kid spin-art masterpieces. This is done by what’s called the “subtractive” method, because when you add paint colors, you subtract more of the wavelengths of light that are reflected by the paint. This is why when you add enough paint together it tends to converge on a black color (or sometimes dark brown or purple). Light is different from paint: adding different colors of light together leads you to a whitish color, and the primary colors are not what you might expect. They’re red, green, and blue, and this system, the RGB system, is the way your computer sees color. If you’re teaching kids to code, this is pretty important. Unlike the red-yellow-blue system, the red-green-blue system makes some color combinations that are not easy to predict. Red and green make yellow, which means that equal numbers of yellow and blue give you a new color that has an equal amount of red, green, and blue: gray. Some advice, especially for parents of young kids: don’t spend too much time talking about it, just let them go wild. Maybe mention that this is different than mixing paint (using the yellow and blue example), but their hands-on learning is going to teach them a lot, and in my testing with our own science kiddos, I’ve found they just want to play around. This is great. I have not started teaching my daughter colours yet but I really should!